Have you always wanted to jet around the world in a Boeing 747 jumbo jet but don’t want to waste hours at check-in, security and to top of it off, lose all your bags? Now you don’t have to! Entrepreneur Oscar Diös solved the problem by taking a old jumbo jet, stripping it out and placing it on a strip of land next to the entrance of Arlanda airport in Stockholm, Sweden. Turning the former airplane into a chic and hip hostel that not only will automatically serve as a landmark but also as a time capsule for anyone who is interested in aviation history. 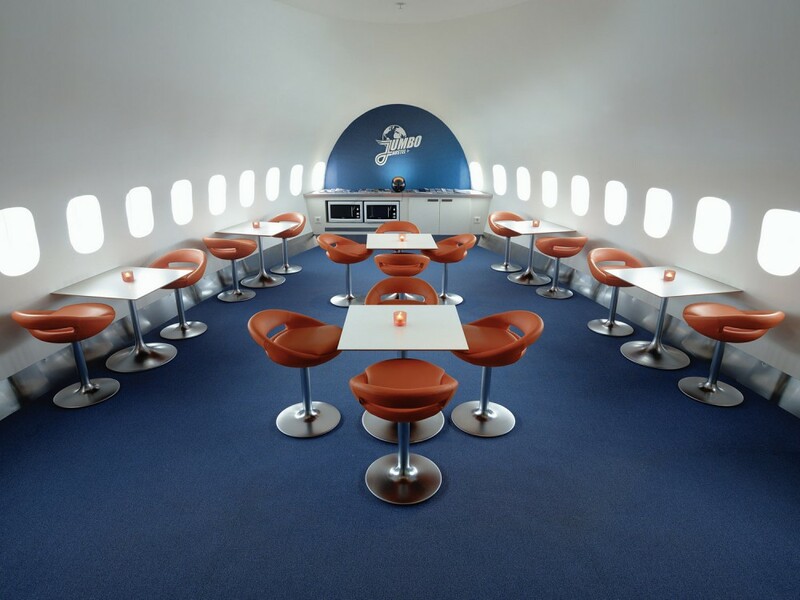 Welcome aboard the Jumbo Stay – a Jumbo Jet Hostel. – I was getting ready to expand my hostel business in 2006 when I heard about an old wreck of an aircraft for sale at Arlanda. Since I had for a long time wanted to establish my business at Arlanda I didn’t hesitate for a second when this opportunity struck, Oscar Diös explains. The airplane is a decommissioned Boeing 747-200 built in 1976 for Singapore Airlines, which later served for the legendary airline Pan Am between the years 1984 to 1991. It made its last commercial flight in 2002 when it flew between Stockholm and Dublin. There are 27 rooms in the fuselage and 76 beds including one cockpit suite that allows you to spend the night were once the pilot and co-pilot navigated thousands of travelers around the world in style. Oscar Diös also have plans to turn the shell of the jet engines into two-bed rooms. Let’s hope he cleans out the smell of jet fuel first. For more information and booking requests, head over to the Jumbo Stay website.